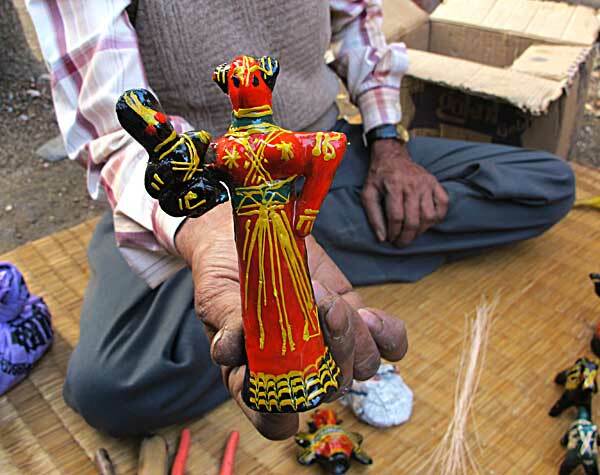 Sixty-one year old Brindaban Chanda is the last of the traditional master craftsmen making shellac dolls in West Bengal. He belongs to a family of traditional conch shell workers, who several generations ago, diversified into making these shellac dolls or Galar Putul, along with several other families from villages under the Egra and Potashpur thanas of Medinipur. Brindaban learnt his art from his mother and his father, the late Jogendranath Chanda when in his twenties. He in turn, has taught both his son and daughter. He remembers his parents making lac dolls as well as conch shell bangles for the local Adivasis. With the market for lac dolls, having practically shut down over the last 10 or 15 years, his children are far from enthusiastic about the craft and his son has moved on to the conch shell trade. In the face of changing tastes, competition from plastic dolls and the complete absence of any marketing assistance or aid of any sort, the 17 or 18 families in his village, who were once active in lac doll making, shut down shop many years ago. Brindaban would probably have met a similar fate, had not his talent been spotted by Mrs Ruby Pal Chowdhury of Crafts Council of West Bengal. CCWB showcased his work in Kolkata in an attempt to revive this extinct art. Thanks to the exposure he received, Brindaban began to be invited to participate in workshops and visit other cities like Delhi, Chandigarh and Bhopal. Brindaban finds that there is a spark of interest in these dolls at fairs organised in cities like Kolkata - probably as decorative items. 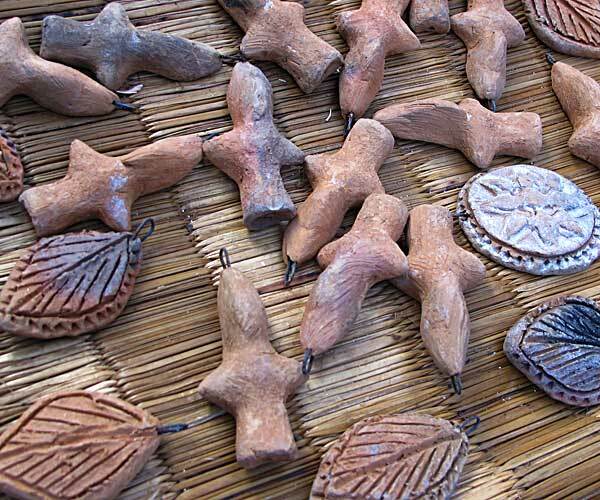 To keep alive Kolkata`s new found interest in these lac products, for the past seven years or so, Brindaban has also been fashioning lockets from terracotta and giving them a lac painted finish. 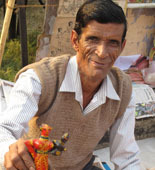 It has been about nine years now that Brindaban has also been working at the Heritage School, Kolkata training students in the art of lac doll making. While this gives him a steady income and puts him in a much better position than he was in previously, it also limits the time that he can devote to his art and therefore, his output.